Set on a hillside with views to the ski slope, the chalet 'Groundhog of Fies' welcomes you to spend a holiday with family or friends. Everything has been done for your well-being and enjoyment. After a day of skiing or hiking you will find yourself in the corner of a good fire, enjoy the sauna and Jacuzzi in the spa. WiFi is available throughout the Chalet. 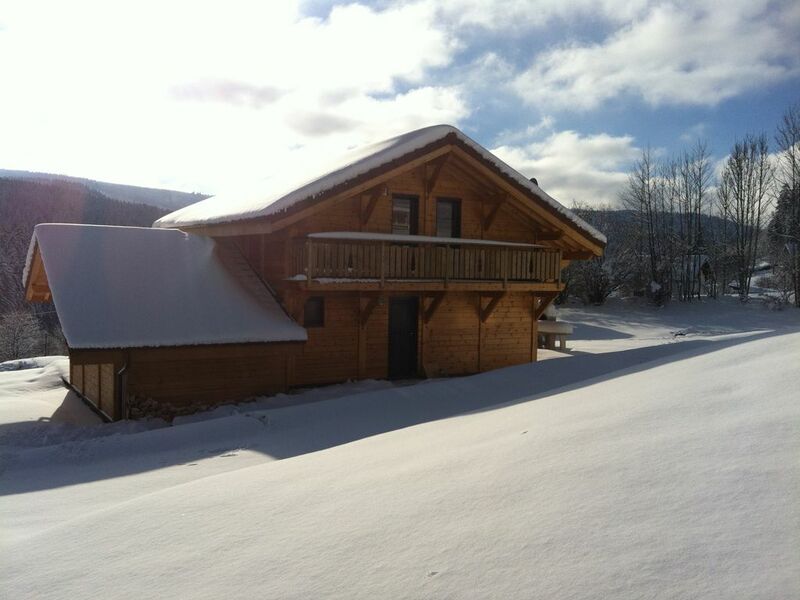 on the ground floor: Entrance, ski room, leather corner lounge with flat screen and TNT channels (French and foreign), DVD player, dining room and fitted kitchen fully equipped. Space spa with its Jacuzzi, sauna, bathroom with Italian shower and basin, separate toilet. Wood stove for cool evenings with wood available. All rooms are equipped with a balcony. Ground floor: Entrance, ski room, leather corner lounge with flat screen TV and TNT channels (french and foreign), DVD player, dining room and fully fitted integrated kitchen. Space spa with its Jacuzzi, sauna, bathroom with Italian shower and basin, separate toilet. Nous avons passé un excellent séjour dans ce magnifique châlet, bien équipé et proche des pistes. Nous y retournerons avec plaisir. Très belle région. Accueil correct et gentil. Nous avons passé des bons congés et retournerons certainement. Le chalet est TOP. Volledig ingerichte keuken, sauna en jacuzzi, ruim salon en eettafel, gezellig terras. Enkel hééél jammer dat de WIFI niet werkte! Indien Wifi ok, is dit voor herhaling vatbaar. Nous avons passé un week-end entre amis (8 adultes et un adolescent) dans le chalet proche de commerces et bénéficiant d'un très bel ensoleillement. La proximité de beaux parcours nous a permis de randonner et de courir avant de nous détendre dans le jacuzzi et le sauna. The chalet is facing south is near Lake Gérardmer. The site is quiet and pleasant, the ski resorts of Gerardmer and La Bresse are very quick and easy to attach. Proponents of hiking or biking will love being able directly from the chalet.